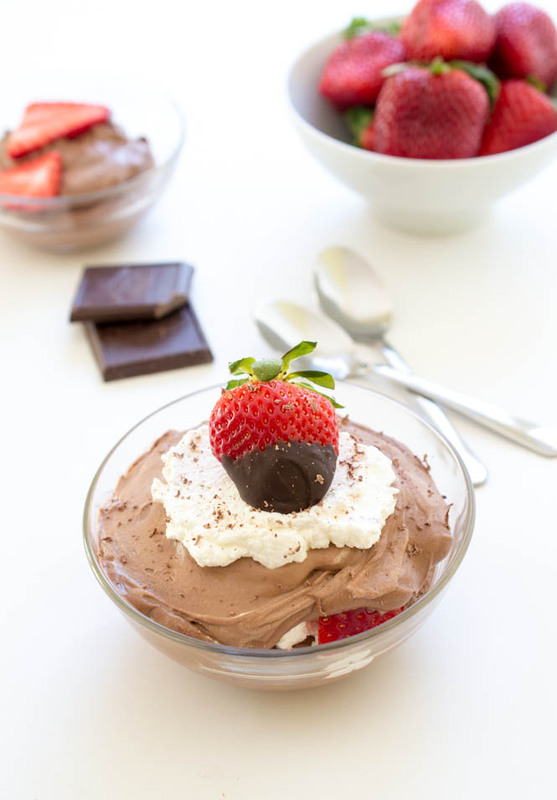 Super decadent 3 Ingredient Chocolate Mousse layered with homemade whipped cream and fresh strawberries. Perfect for Valentine’s day! 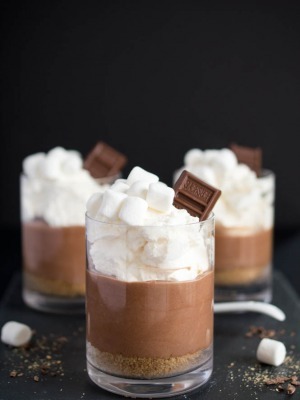 Looking for a super easy and decadent recipe for Valentine’s Day? 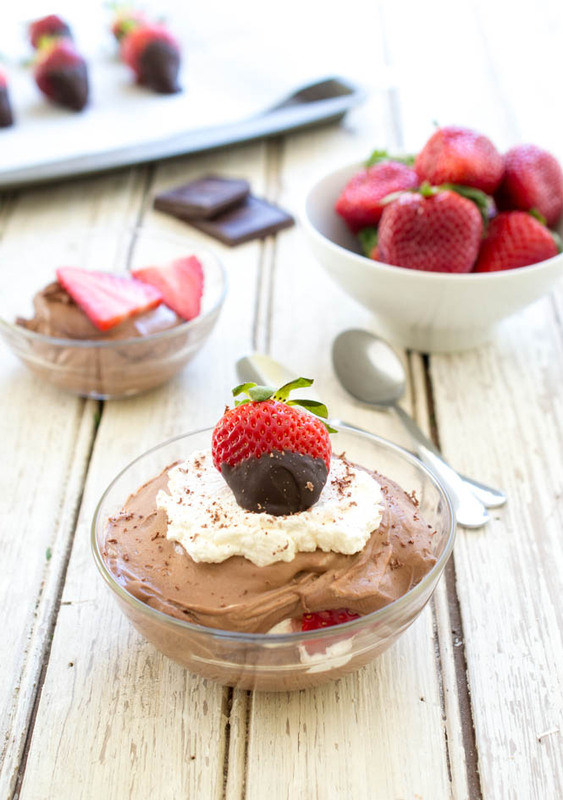 This 3 Ingredient Chocolate Mousse has you covered. This mousse is extremely easy to make and only requires 3 ingredients which you probably already have in your pantry. A quick and easy dessert that takes only 15 minutes of prep time. You can even make it the day before. Chocolate mousse is not as intimidating as it seems. 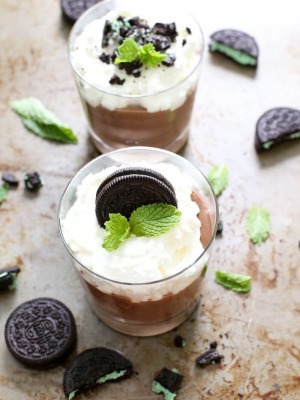 There are a couple important steps to follow when making this mousse. You must temper your eggs before adding in the warm milk. This prevents us from having scrambled eggs. Also make sure to gently fold the whipped cream into the chocolate mixture. 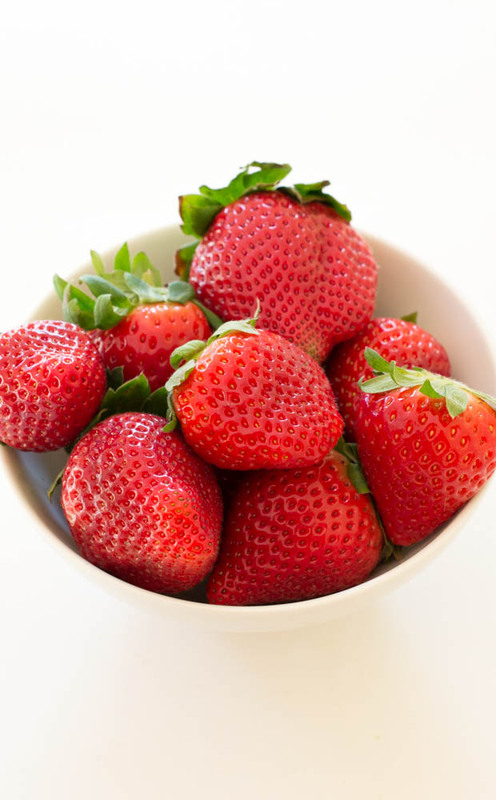 This helps to keep the mousse light and airy. I used semi-sweet chocolate squares for this recipe. Dark chocolate would also work great just make sure to use a good quality chocolate. There is no added sugar in this recipe just egg yolks, chocolate and cream. That’s it. To make the chocolate mousse whisk egg yolks on the highest speed until they thicken. Meanwhile, heat 1/2 of the heavy cream in a saucepan. Add a splash of the warm milk to the egg mixture and stir gently. (We are shocking the eggs so they do not scramble). Next add the egg mixture with the rest of the milk into the sauce pan and cook until thick. Add in chocolate and stir until melted. Whip the remaining heavy cream and fold into the chocolate mixture. Refrigerate for 2-3 hours to set. This recipe makes about 2-4 servings. For me it’s more like 2. This stuff is addicting! Add egg yolks to a stand mixer with the whisk attachment. On the highest speed whisk yolks until they thicken. Takes about 3-4 minutes. Meanwhile, heat ½ cup heavy cream in a medium saucepan. Do not boil just warm up the milk. Add a splash of the warm milk to the egg mixture and stir gently. We are shocking the eggs so they do not get too hot and scramble. Add the eggs with the rest of the milk into the saucepan. Cook mixture until thickened, 2 minutes, stir constantly. Add in chocolate and stir until melted and take off of the heat. Meanwhile, add the remaining ½ cup of heavy cream to the stand mixer with the whisk attachment. Whisk until cream forms soft peaks. Very carefully fold the whipped heavy cream into the chocolate mixture. Place in the refrigerator for 2-3 hours to set. Add cream and sugar to a stand mixer with the whisk attachment. Whisk until cream forms soft peaks. 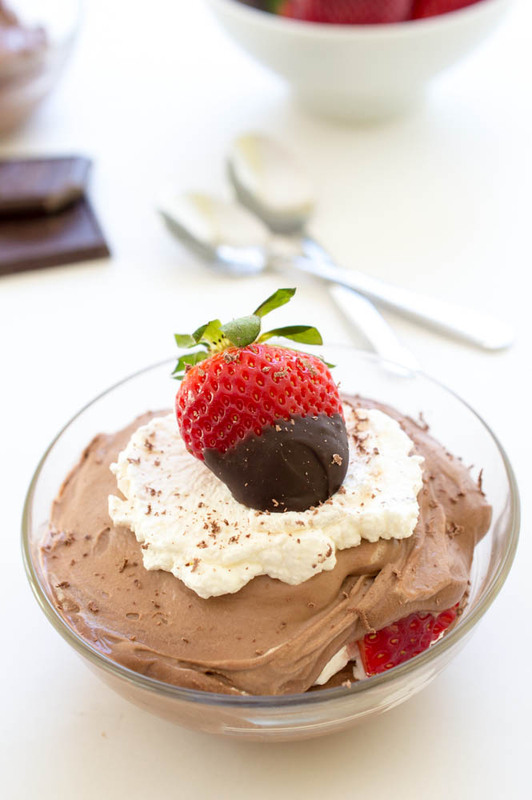 Serve on top of mousse if desired.